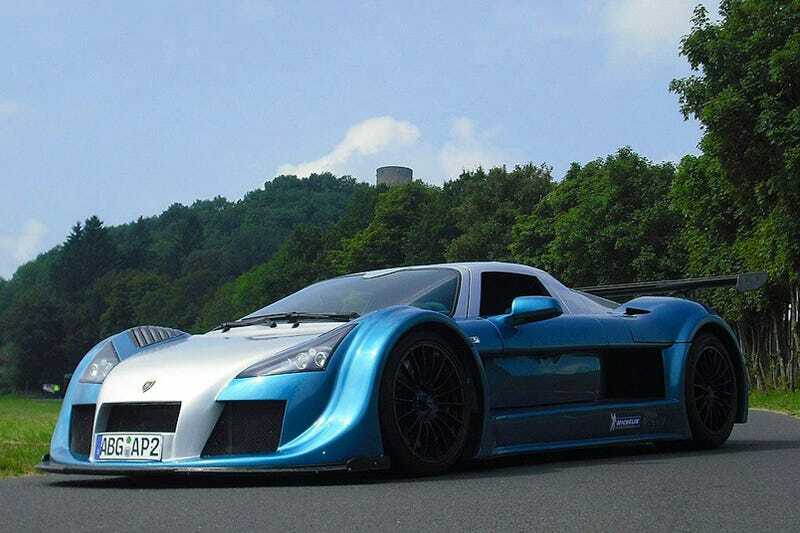 The truly mean Gumpert Apollo Sport has powered its way to a Nürburgring lap time of 7:11.57, simultaneously setting the fastest lap for a production road-legal car and embarrassing the competition. This number is an eleven-second improvement over the the Dodge Viper SRT10 ACR and Corvette ZR1 times, and a full 15 seconds over the Nissan GT-R VSpec time. Update: Technically, the Hayabusa-powered Radical SR8 is the fastest production, road-legal car with a time of 6:48. However, the car is truly on the radical end of what you'd consider road-going.